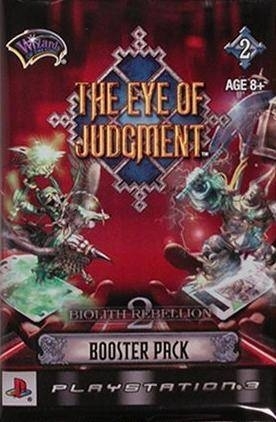 "The Eye of Judgment: An undoubtedly daring attempt at transforming a collectible card game into a video game, but how does it fare? " 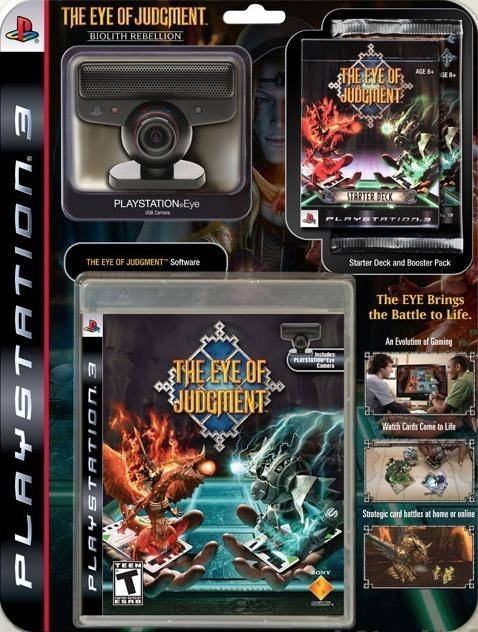 Developed by Sony Computer Entertainment Worldwide Studios, JAPAN Studio, THE EYE OF JUDGMENT presents a new style of gameplay where collectable trading cards, embedded with a CyberCode, are brought to life in the 3D game through use of the innovative PLAYSTATION Eye. 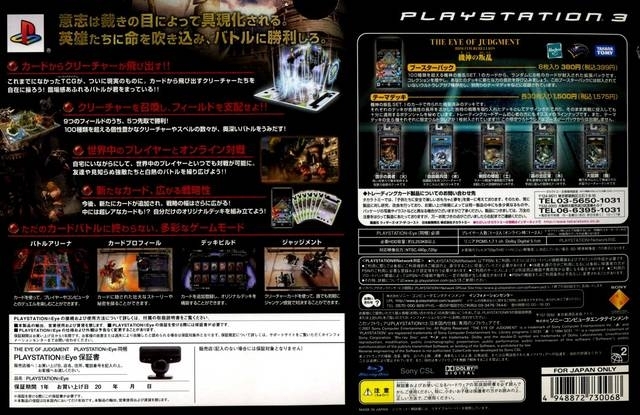 Players compete by selecting a card and placing the coded card in front of the PLAYSTATION Eye for their respective creatures to come to life and battle on screen. 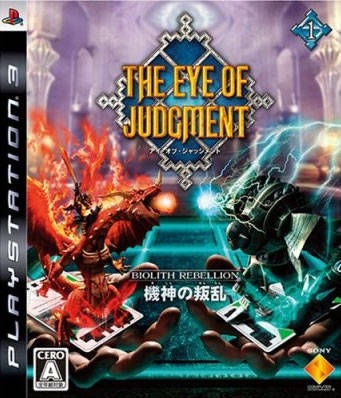 Players take turns placing cards as they jostle for control; the winner is the first player to conquer five of the nine squares of the “9 Fields” battle mat. 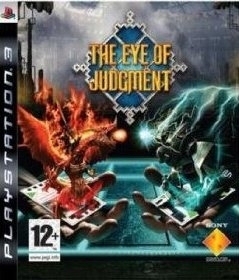 The gamers task is to conquer the board by deploying their cards more skillfully than their opponent. 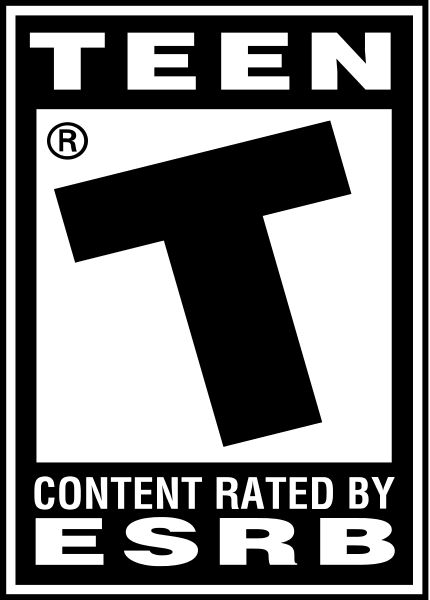 This is one very good game. It's really unique. 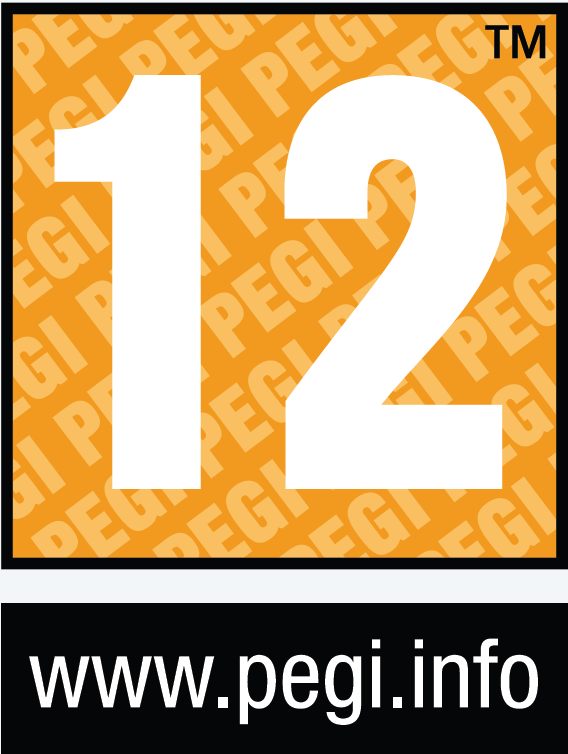 they should make adverts for this for Xmas, it will sell loads! in Xmas parents love to buy stuff like this. 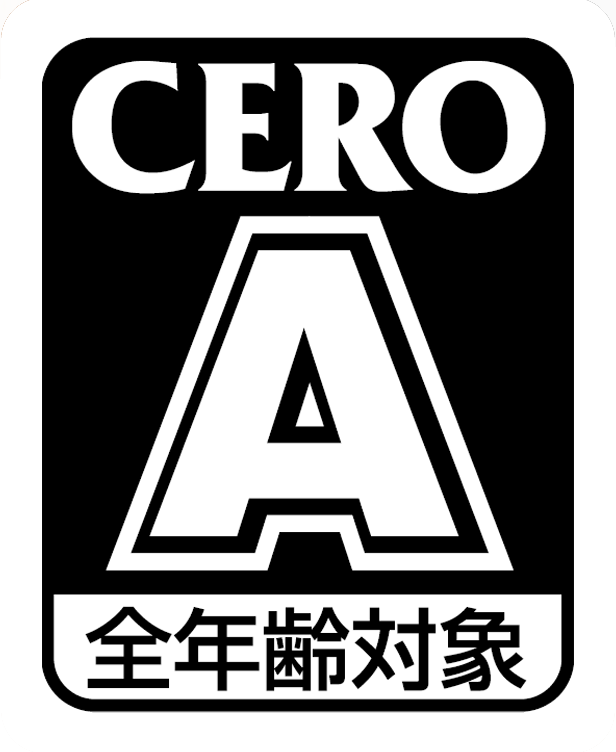 Deserves to be a solid hit but ita not.